A lot has been written about operation Blue Star by now but what was happening in the peripheries has not been touched by many. Indian intelligence agencies were cooking something serious, I had guessed in 1982. In June-July 1982, me and my wife visited our relatives in U.S.A. a Sikh of Delhi, for which I wrote regularly published my photograph saying that I will be available for lectures during U.S.A. tour. On my arrival there, I was informed that a Sikh leader of America had invited me to Washington. During my stay with him one night he invited almost all the important Sikh Leaders of U.S.A. to dinner. Sardar Kapur Singh ICS also happened to be there. Sikh agitation in Punjab was the main topic discussion. Everyone was anxious to guess what shape it was going to take in future. RAW agents were active to know the future plans. S.Kapur Singh l.C.S. being brain trust of Sikhs, was their special target. Sardar Sahib had undergone major operation of his brain and he was fast losing his memory. lndian intelligence through its agents, was alluring him to write down a plan of action for the future 'Sikh generations to act. The impressions I gained was that Sardar Kapur Singh was being pressurised and harassed by these agents to agree to dot it down in one form or the other. At the dinner three options were given to S.Kapur Singh. He will be provided with an air-conditioned exclusive office in Washington with a steno typist to whom he can dictate the future action plan or he can tape it or write it down personally and in either case the script can be secured in a' bank locker to be opened after expiry of a period fixed by S.Kapur Singh but he was not willing to accept the suggestion. The Sikh leader asked me to stay on in U.S.A. and offered me the editorship of a magazine published by them from California but I declined as the salary offered was not enough to maintain myself with dignity. I told them that they 'can invite me when they have enough resources. "lt hardly matters', I said ,"whether you call me after five or ten years. "but their reply was, '5/10 years is a big time, we must do something for the community within two or three years ". 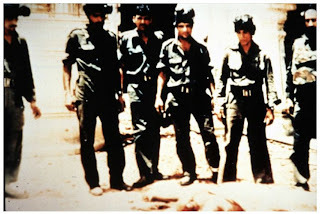 I came back to lndia in July 1982 apprehending serious trouble for my community in the coming time. i.e. Take care of your community A big tragedy awaits its destiny, Conspiracies are being hatched to ruin it, in your homeland. 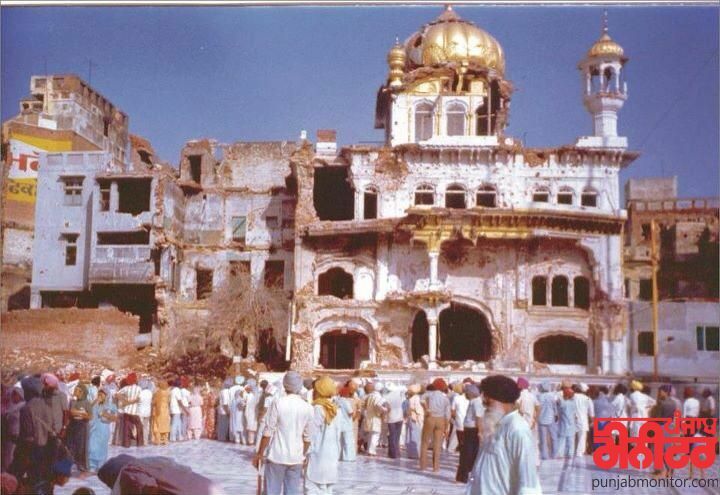 Now, this fact, that decision to attack Golden Temple was taken in 1981, has been confirmed by Lieut. Gen. S.K. Sinha who was then G.O.C. Western Command, who, as per report in Weekly New Delhi dated July 16, 1984 says that he had been informed in 1981 that a decision had been taken at the highest level that army should undertake the arrest of Sant Jarnail Singh Bhindrawale. Events continued heading towards a flash point. Some Sikh leaders in Punjab met the Governor of Punjab and an army General. This convinced me that day of destiny is drawing near. On 25th May 1984, there was a dinner by a Rotarian Sukhchain Singh Bhandari at Sirsa. Deputy Commissioner and the Superintendent of Police were also invitees. They asked my comments on events in Punjab. I told them that either with Pakistan or attack on the Golden Temple looked inevitable at any time. They did not agree because the bureaucracy had not been taken into confidence while planning the operation. Later they. told me that when operation started they were immediately reminded of my comments that night at dinner . 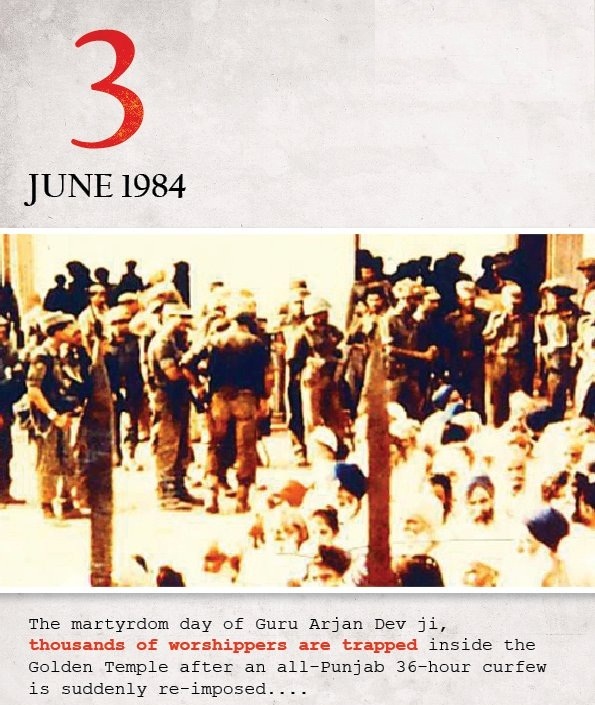 Celebration of Guru Arjan Dev's martyrdom day was on 3rd June 1984 as usual a group of Sikh pilgrim from lndia was to visit Pakistan on the occasion. I was to be one of them. 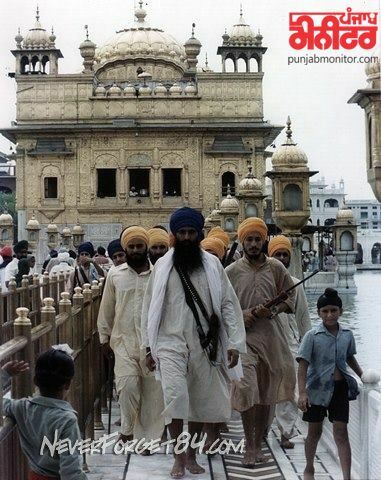 I reached Amritsar on 26th may 1984. I wished to pray at Golden Temple before departure for Pakistan. intermittent exchange of fire between militants and Border Security Forces laying siege to the Golden Temple from the 'buildings around the Golden Temple had taken place a day earlier. B.S.F. was intentionally indulging unprovoked firing to locate from inside the Golden Temple the defensive positions of the Bhindranwale's men. 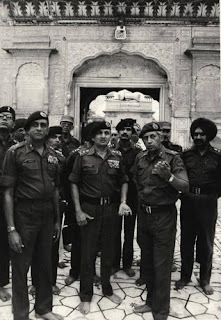 General Zia-Ul Haq, when he came to power in Pakistan showed his special affection for the Sikhs as he was a Punjabi from Jallandhar District of lndian Punjab. Before him General Ayub Khan had also showed keen interest in the Sikhs as he too had worked with the Sikh regiments in the British Army before Partition of this lndian Sub- Continent into India and Pakistan had no broken the emotional ties and people or both sides of Punjab, irrespective of their religion, suffer the pangs of separation till to date and repent for what had happened at the time of partition. But the political leverage after 1947 has gone in the hands of those who wish to keep the people of two Punjab divided. l remember in '1969, during my pilgrimage to Nankana Sahib (the birth place of Guru Nanak now in Pakistan) for its programme Punjabi Darbar ln my interview I had expressed my anguish on partition of Punjab and said that if Punjab had remained united the map of the world would have been different today. After I returned to lndia, a team from All lndia Radio Jallandhar visited my residence at Sirsa and they expressed annoyance at what I had said I told them that it was my bonafide personal opinion. They asked me to explain it by saying that while the people on the Pakistan side love people of lndia, the Government of Pakistan created hindrances. I agreed and they recorded it. General Zia-ul-Haq started a practice of meeting a deputation of Sikh pilgrims whenever they visited Pakistan. I could not avail this privilege earlier as the list of deputationists was prepared by the S.G.P.C and one must have a contact to get his name included in the list. ln 1984, I had written to S. Bhan Singh Secretary S.G.P.C. that I will be visiting Pakistan on the occasion of Guru Arjan Dev's Martyrdom and that he should get my ' name included in the list of deputationists. S. Bhan Singh stood behind me, after I came out from the sanctum sanctorium, to say that my name had been included. l was pleased and thanked him for the favour. I enquired from him what was the position if Golden Temple was attacked by the. army. 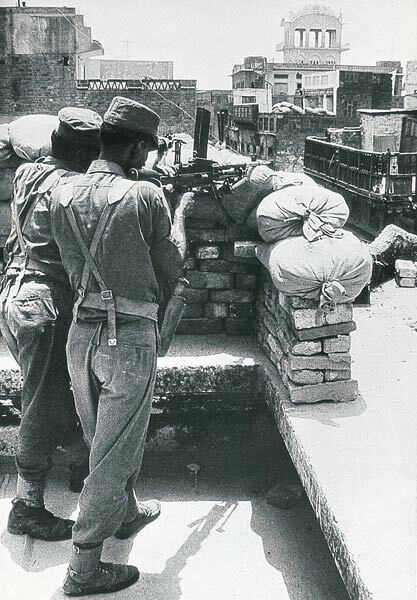 He said Sant Bhindranwala's men claim that they can face the lndian Army's 'onslaught at least for a week, of their own without any outside help. Their determination is their greatest strength, he said, in a whispering voice. I and my companion came out of the Golden Temple Complex. The lanes around the complex were full of Border Security Force men who carried loaded guns on their shoulders. I had a dip in the holy tank while inside the complex and on my way back l was carrying the wet clothes in a bag in my hand. While I was passing through the lane, One of the security men on duty pointed his gun at me. I thought that he wants to know what was I carrying in the bag, So I told him that it contained wet clothes. He laughed and said that he had straightened his gun to point out to me that cotton chord of my pajama was hanging. l thanked him. When we entered Pakistan by train everything looked normal. We were taken to Nankana Sahib. 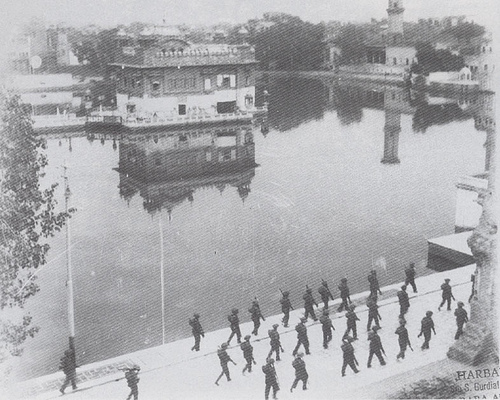 The pilgrims jumped from the running train to rush to the gurudwara to occupy the rooms. By the time we reached there was no room available as those reaching earlier had locked the rooms which they had already occupied. As the stay at Nankana Sahib was only of one day it was summer season, I opted to spend the night under a tree. 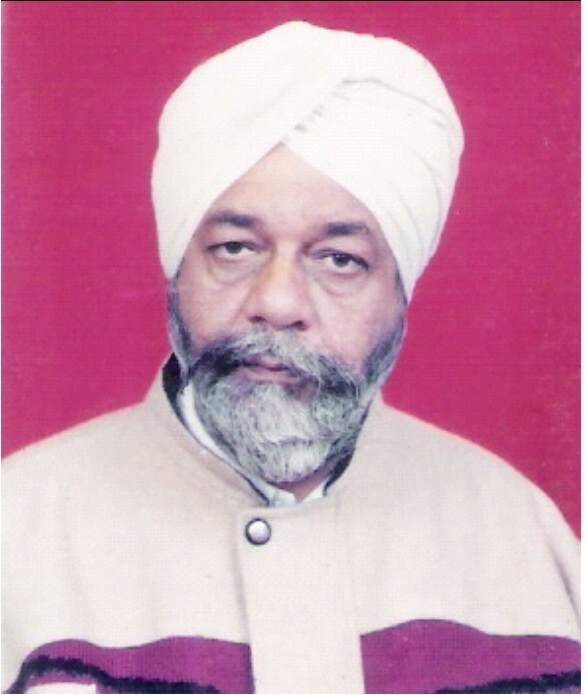 But after sometimes S.Parkash Singh Principal Sikh Missionary College, who was also one of the pilgrims noticed me and took me to his room, where I boarded a train at night along with other pilgrims to visit Panja Sahib where we reached the next day. ln the afternoon S. Kulwant Singh Assistant Secretary S.G.P.C. informed me that he has noted down my name for inclusion in the deputation of pilgrims who will meet General Zia-ul-Haq. From his manner of talking, I noticed as if he was not happy on inclusion of my name. 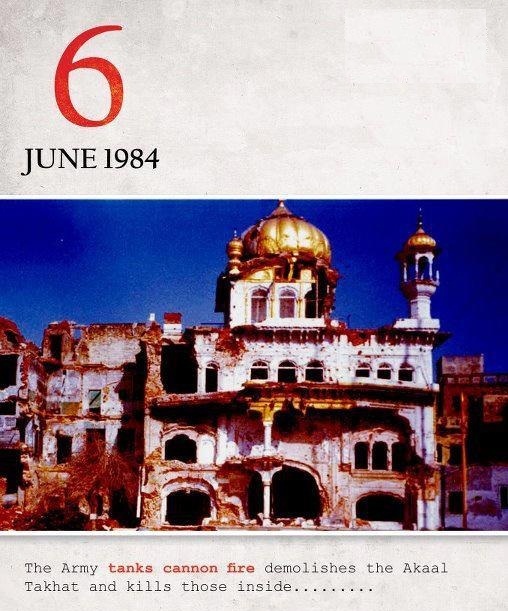 Therefore, till 31st May 1984 there was no indication whatsoever in Pakistan that operation Blue star was so close. Having met the President, lndian Ambassador, Senator of Pakistan and an opposition leader, I could get no indication of the pending tragedy. Although Government of lndia claimed Iater that it had sent prior intimation to Pakistan about large scale movement of army in Punjab the intimation must have been sent after 31st of May 1984. At night when I was taking my dinner in the crowded lawns of the hotel, I heard and saw pictures of mass military movement in the lndian Punjab on the Pakistan T.V. That was the first time in Pakistan when I came to know of, impending army action in lndian Punjab. I was worried and felt alarmed. But still hoped that situation will be controlled without bloodshed because the Brahmin rulers in lndia were wise enough-to visualise consequences uf army action against Sikhs inside Golden Temple. 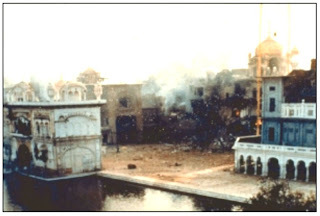 No television or radio sets were available inside the Gurudwara premises. Thus we couldn't know much about the operation. ln the evening after the Celebration concluded when I was roaming inside the Gurudwara, a young Sikh lady from 'Hungary who had become acquainted with me during my stay inside Gurudwara at Lahore, stopped me and introduced me to an old- Muslim who introduced himself as Mr. Zaidi, a former correspondent of the B.B.C. Mr. Zaidi wanted to know about the Sikh reaction to army action in Golden Temple from a school going girl, a student of college of Architecture, a lady lecturer in a college and an elderly uneducated Sikh man. Mr. Zaidi took us in a van his flat nearby. ln our reaction each one of us told him that it was not a right action and it will have serious impact on Hindu-Sikh relationship in lndia. Summing up my view, I added that British in such a situation would have studied its impact on Sikh soldiers in the British lndian Ariny who constituted a large segment of that army. 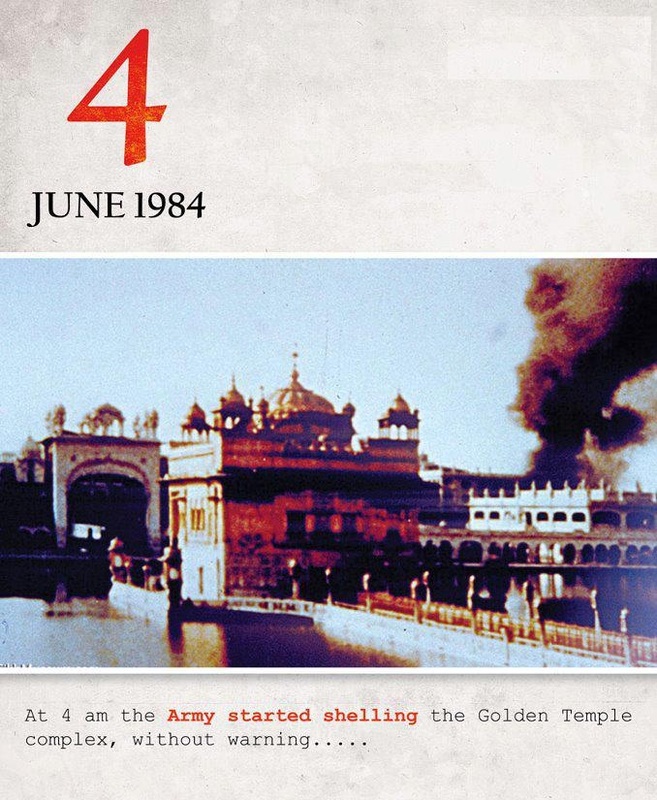 As a student of Sikh History, I told him, anyone 'who attacked Golden Temple ultimately lost his rulership and sovereignty over Punjab because of inimical hatred created amongst the Sikhs against him. Zaidi wanted me to elucidate my point of view in the present context. I refused by begging his leave as I was to pack up my luggage for going back to lndia by train which was to leave on the next day morning i.e.4th June 1984. 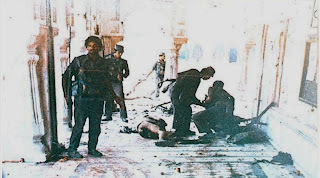 While I was sitting at Zaidi's flat Radio Paris in its new bulletin reported that Sant Jarnail Singh Bhindranwale has surrendered to the lndian Army, but immediately thereafter, it was announced in the same news bulletin that report of surrender was incorrect and fighting was still going on and the sound of canons was being heard. Nine years after my return to lndia i.e. in 1993, a Sikh politician claiming to be close to Giani Zail Singh Ji asked me to include this version of surrender in my book of history which I refused telling him that since the report was described as incorrect and contradicted by Radio, it cannot find a place in the book of history. As per original schedule the pilgrims were to return to lndia by train in the early morning of 4th June 1984, At Amritsar my younger brother was posted as Bank Manager. I had requested him that he should collect me from the train carrying pilgrims arrives on 4th June and should drop me at the bus stand to enable me to catch 'the bus for Sirsa. 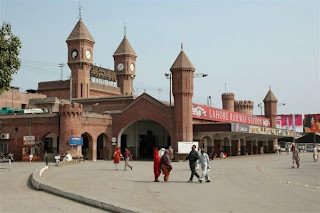 Our train left Lahore as per schedule and came to Wagah Border but the lndian authorities refused to receive the passengers. We waited for clearance till evening. The passengers became restless and shouted slogans against lndian Government. Most of the passengers, before boarding the train for return journey, had spent their entire money and were left with nothing to sustain themselves. Langer at the Gurudwara had been closed and it was not certain for how many days the military action in Amritsar and rest of Punjab will continue. Everyone was feeling insecure and worried for his relatives in Punjab. To pacify the restlessness amongst the pilgrims, Pakistan Government announced at the extent of Rupees Two Hundred after getting an entry to that effect made on his passport and he can return the equivalent of the same in the Indian Currency to Pakistan Embassy in New Delhi after returning to lndia. They further announced that during the period of stay of the pilgrims in Pakistan, the Govt will continue the arrangements for the stay and food of the pilgrims. This satisfied the pilgrims to some extent and the train came back to Lahore with full load of passengers. Langer as usual was served in the Gurudwara at night and it was announced that Municipal Corporation Lahore will host lunch to all pilgrims tomorrow in the Municipal Town Hall. This hospitality being extended by the Pakistan Government to the pilgrims alarmed the lndian authorities, At about midnight a message was received that train for lndia carrying all the pilgrims will go tomorrow morning i.e. 5th June 1984 and all passengers should keep themselves ready to board the same. So we could not sleep that night as we packed our luggage again and left for railway station in the early hours of the morning to occupy a seat in the train. From Wagah border we walked down to Attari Railway Station on lndian side' There was custom checking by custom officers under the supervision of the lndian Army officers' Each passenger was thoroughly checked. After custom clearance all the pilgrims 'boarded the train with their luggage. When the train was about to start soldiers of the lndian Army surrounded it and we were told that the destination-of the train was not. known. They locked all the windows and doors of the train and asked the pilgrims not to come out or attempt to open the door or windows till the train comes to a complete halt at some unknown station. Soon thereafter the train started and picked up speed. When the train passed through villagas of Amritsar District we found hundreds of villagers on their roof tops. A group of pilgrims from somewhere in the train shouted ‘Bole So Nihal’ which was responded by the villagers with shouts of ‘Sat Sri Akal'. This convinced me that the moral of the people in the villages was still high and the army action has not demoralised them. The train continued proceeding towards a destination not known to us. On all the railway stations on the way we noticed large number of army men with weapons on their shoulders performing the functions of security. No civilian except the railway guards could be seen. lt looked like an army take over in Punjab, which was a fact. We did not know and when the train will halt until it actually stopped at night at Ambala Cantt. Where all the passengers were told to get down. There was a large number of army personnel with the exception that we found civilians too who looked quiet active Passengers were asked to stand in a queue at the exit gate and keep our passports ready for inspection in our hands. Army officers on duty checked passport and compared the photograph thereon with the face of the passanger. Outside the railway station we were taken to a camp where some social workers served us food. They told us that those who are residents of states other than Punjab can proceed to their homes but those from Punjab should go to a relative outside Punjab as that state under complete siege and no movement was allowed thereto. Since we were from Haryana, we felt relieved. Next morning we went to Ambala city and caught a bus to reach Sirsa on 6th June 1984.
ln the news bulletin we heard that Sikh soldiers of the lndian Army had revolted on account of army operation in the Golden Temple. My family members had undergone a lot of tension on account of my absence. My house was situated on National Highway No. 10 and large caravans of the lndian Army had passed thereon. Many a friends rang- up my wife and children to know about my safety and this had further added to their worries. My younger brother at Amritsar who was to receive me at the Railway Station had also undergone a great ordeal. He told me later that on 4th morning he received information that train carrying pilgrims has arrived at the railway station. 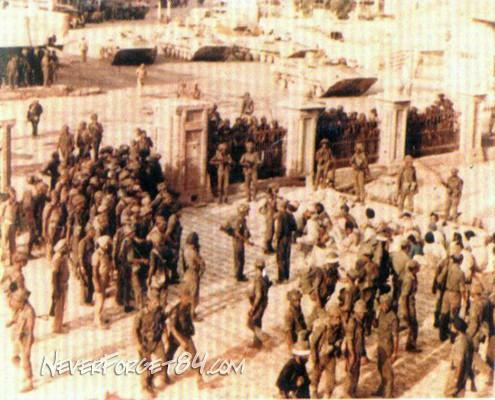 So he left home in his car but as soon as he reached the main road, he was stopped by the soldiers of the lndian Army. He showed them his curfew pass which issued to him as Bank Manager, before army take over, by the District Magistrate but he was told that all these passes were not valid after army take over in Punjab. So he had to come back home. The office of Public Relations Department was situated in his immediate neighbourhood and their publicity van was ready to leave for the town to proclaim something about curfew and army take over. Public Relations Officer who was known to him, allowed him to board that van and directed his staff to drop him at the railway station. When he went inside the Railway Station he came to know that the train had 'been cancelled. There were a large number of passengers stranded inside on account of imposition of curfew and cancellation of all trains. 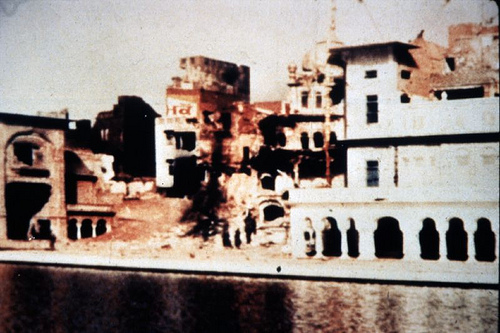 Soon after my arrival back home Sant Bhinderwale was reported killed and Army took control of the Golden Temple.